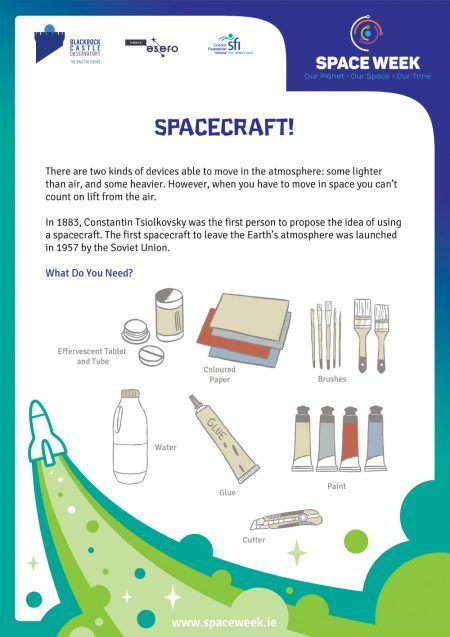 Try a space taster! These short activities use everyday materials to promote family learning and fun. 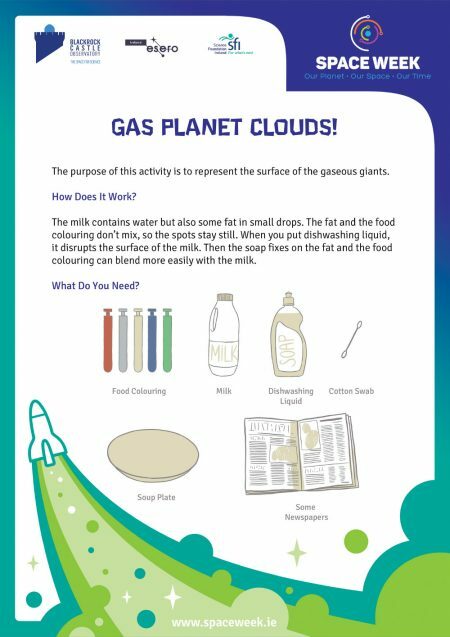 Find out how to represent the surface of the gaseous giants with our activity toolkit. Make a 'pop' rocket fly. Download our instructions and blast off! Project your favourite constellations on the walls. 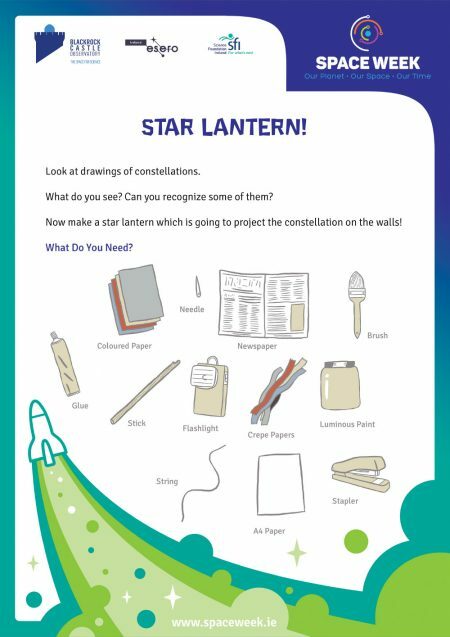 Download our handy toolkit to start seeing stars! 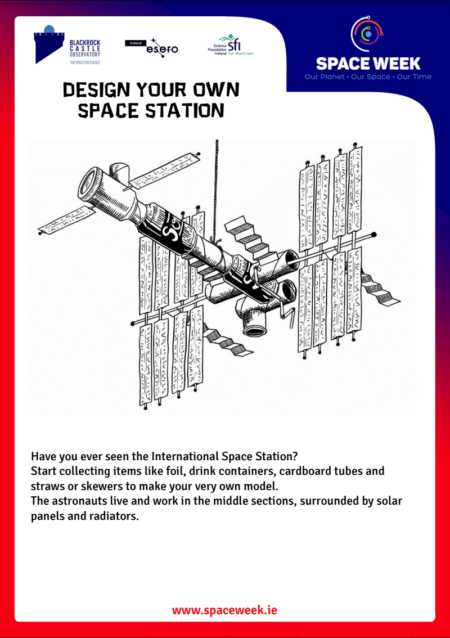 New for 2017: Create your own International Space Station model from recycled materials. 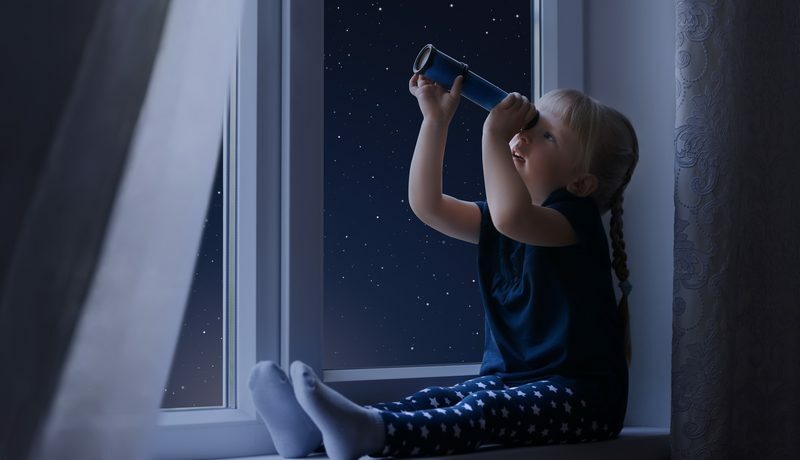 Explore the wonders of Space with fun activities from the European Space Agency!